Sunil Narine, an offspinner, caught the selectors' attention by taking all ten wickets in a trial match and received a call up to the Trinidad and Tobago squad in January 2009. A former West Indies Under-19 player, Narine made his first-class debut against Leeward Islands but took no wickets in his 13 overs. He had not represented Trinidad and Tobago in any form of limited-overs cricket but was included in the squad for the inaugural Champions League Twenty20 in India in 2009. However, there were doubts raised over his action during the Caribbean T20 in 2011, and he worked with bio-mechanical experts at the University of Western Australia in Perth to change it. The new action was even more effective, as opposition batsmen found out in the Champions League 2011: he was an outstanding success in the tournament, taking ten wickets at an average of 10.50 and an economy rate of 4.37. He made his ODI debut in India as well, on the 2011-12 tour. 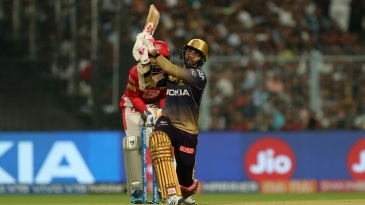 Find Sunil Narine profile and stats of batting, bowling and fielding including latest updated news of Sunil Narine, videos and images at Hamariweb.com. 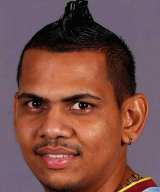 Also find detail Player profile and career statistics of Sunil Narine of West Indies. Sunil Narine - Find Sunil Narine of West Indies Cricket Team complete player profile, number of matches, runs score, wickets & catches, Statistics, Records, Sunil Narine Latest News, Sunil Narine Videos, Sunil Narine Photos, and other Sunil Narine Cricket Team players.